How much do you know about the food that’s on your plate? Based on the bestselling book by Jonathan Safran Foer, narrated by co-producer Natalie Portman, and directed by Christopher Quinn (GOD GREW TIRED OF US), Eating Animals is an urgent, eye-opening look at the environmental, economic, and public health consequences of factory farming. Tracing the history of food production in the United States, the film charts how farming has gone from local and sustainable to a corporate Frankenstein monster that offers cheap eggs, meat, and dairy at a steep cost: the exploitation of animals; the risky use of antibiotics and hormones; and the pollution of our air, soil, and water. 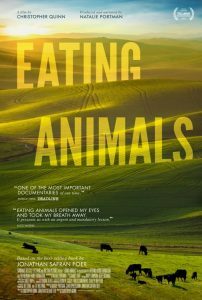 Spotlighting farmers who have pushed backed against industrial agriculture with more humane practices, Eating Animals offers attainable, commonsense solutions to a growing crisis while making the case that ethical farming is not only an animal rights issue but one that affects every aspect of our lives. Frank Reese is a heritage poultry farmer from Lindsborg, Kansas who has committed his life to the preservation of biodiversity via protection and stewardship of the oldest continuously bred flock of heritage turkeys in America. The Good Shepherd Poultry Ranch is nationally renown by farmers and chefs alike; Frank is a pioneer in the field of heritage breeding methods and agroecology, he has taught countless top chefs how to prepare heritage poultry, and he has been featured in publications ranging from the New York Times to National Geographic to Vogue. Frank is developing the Good Shepherd Institute on his farm in Lindsborg, Kansas in partnership with MASS Design Group, a not-for-profit architecture firm. The Institute will be an educational hub for breeding poultry, training farmers and students, partnering with institutions, informing the public, and training chefs, and will serve as a model for system-wide agricultural and ecological innovation. 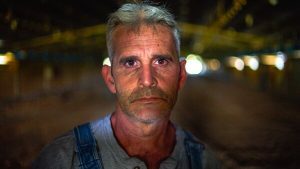 Craig Watts went into chicken farming as a contract farmer for one of the biggest chicken companies in the country, Perdue Farms, in order to support his family. 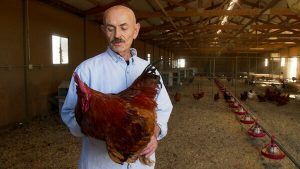 But after 22 years of raising chickens for one of the largest chicken companies in the US, Craig was at his breaking point and did something no one has done before. He invited a farm animal welfare organization, Compassion in World Farming, onto his farm to help tell his story. The public was shocked by the conditions of a standard chicken farm. Afterwards, Perdue became the first major chicken company to publish a detailed animal welfare policy, pledging to share transparent metrics to be held accountable for animal welfare. Jim Keen is a veterinarian and infectious disease ecologist-epidemiologist with 27 years of teaching, research and field experience in livestock health, food safety, veterinary public health and emerging and zoonotic infections. He is the author of 69 peer-reviewed scientific publications. After enabling and supporting Big Ag livestock production for decades, Keen had a 2007 epiphany and converted to become a strong supporter of livestock protection. This culminated in his whistleblowing of abuse of research livestock at the USDA’s Meat Animal Research Center in Clay Center, NE in 2015. Keen strongly advocates improved welfare of both research and industrialized factory farm livestock. Rick Dove is one of the founding members of the Waterkeeper Alliance, a non-profit focused solely on preserving and protecting clean water sources from polluters to create drinkable, fishable, and swimmable water everywhere. Rick’s advocacy related to factory farming began in North Carolina during the spring of 1993. 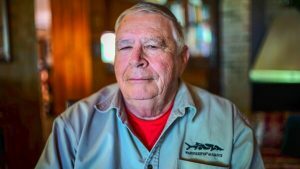 He drew public attention to serious pollution problems related to factory farming when he documented swine waste being discharged into local waterways, which resulted in the destruction of underwater life and ecosystems. Swine pollution and its environmental consequences are at the height of major public concern due to Rick’s work protecting North Carolina waterways. Larry Baldwin is the Executive Director of Coastal Carolina Riverwatch and White Oak-New Riverkeeper Alliance, and a representative of the Waterkeeper Alliance, a non-profit focused on solely preserving and protecting clean water sources from polluters to create drinkable, fishable, and swimmable water everywhere. 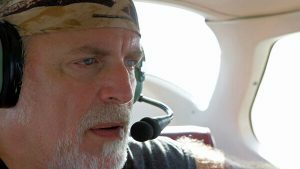 Throughout Larry’s career, he has fought to stop the negative impacts that the swine and poultry industry has on the water, air, and families who live in the vicinity of factory farms. 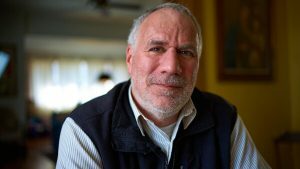 He works closely with the environmental justice communities and the North Carolina Riverkeepers to oppose the oppressive CAFO (Concentrated Animal Feeding Operation) industry.